ICAST’s coming, and of course we’ll be there. The world’s largest sportfishing tradeshow is taking place on 11th – 14th July in Orlando, Florida, and you can find Deeper at booth 785. ICAST is an amazing showcase for all the latest innovations in angling, and as a company that’s always innovating it feels like a home from home. It’s also an amazing place to meet new partners in retail and distribution. And, as we continue to grow our pro-staff community, we’re hoping to connect with bloggers, photographers, youtubers and anglers. Our team will be on hand to tell you all about the Deeper Heroes program and answer any of your questions. They’ll also be showcasing all the new features added since the last ICAST. These include Lakebook – the Deeper Data Manager, a web portal that allows you to access and analyse your maps on any computer. 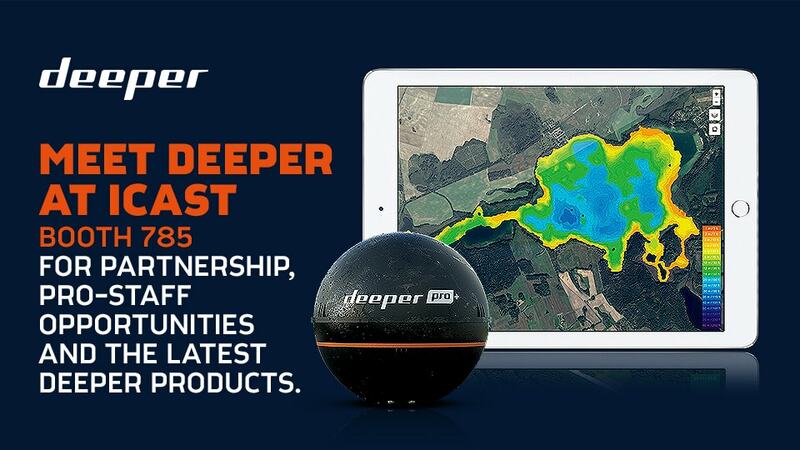 So whether you want to know more about pro-staff opportunities and partnership, or just get the lowdown on what’s new with Deeper, meet the team at booth 785.